Though Lucknow is known for its easy- going pace and its leisurely Nawabi way of life, it is during the holy month of Ramadan that the city comes alive in full zest. The city, especially areas in old Lucknow witness unparalleled activity during the entire holy month. More than just about festivities around Iftar parties and get-togethers, Ramzan is the month when the angel Gabriel revealed the Holy Quran to Prophet Muhammad (Peace Be Upon Him) and subsequently, it is regarded as among the most sacred months of the year in the Islamic calendar. During Ramzan, people wake up before the crack of dawn and begin their day with morning prayers and Sehri (a meal before sun rise). The fast or the Roza is the most basic yet crucial practice observed during Ramadan and is practiced from dawn to dusk during which people abstain from food and drink completely. The purpose of which is to help people learn how to refrain from temptations. However, Ramzan is not just about fasting. It is the time when people spend time with their families and loved ones. It is the time of celebration and happiness. Markets, especially those in the older parts of the city bustle with activity through-out the night. Hundreds of vendors and eateries offer special delicacies and people buy new clothes for the festival of Eid-ul-Fitr at the end of the month of Ramzan. For many, shopping is one of the best parts of Ramzan and is mostly done post sunset, after people have broken their fasts. 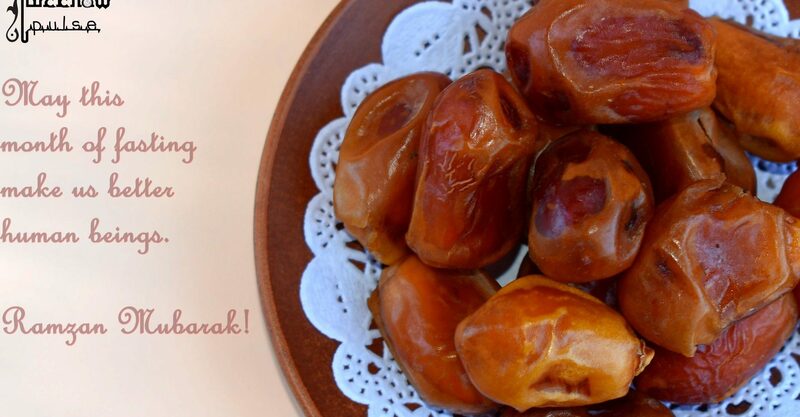 The rozedars offer a short dua after the Azaan (call for prayer) is heard and break their fast by eating a date and a glass of water which is followed by the maghrib prayers and a complete meal. Although the iftar spread differs from home to home, some of the common items in iftaar meals are chickpeas, fritters, fruits and beverages such as rooh-afza sherbet. Apart from food, people also begin shopping for Eid. Since shops are open till midnight, markets are often thronged with men, women and children. Chowk and Aminabad, the oldest markets of Lucknow become more lively and chaotic than usual with their narrow streets lined with stalls hawkers, vendors and eateries. These areas are swarmed with families shopping for everything – right from clothes and footwear, household and decorative items to items with chikankari work and ittars. Nakhhas, Rakabganj, Nishatganj and Aishbagh are some other areas in Lucknow that witness the same kind of hustle-bustle. In fact, the Aishbagh Eidgah, the largest eidgah in Uttar Pradesh draws thousands of people every year for the the Eid namaz. The festivities, the feeling of love and sharing that can be felt everywhere during this holy month is surely an experience not to be missed. Here at LucknowPulse, we wish everyone Ramzan Mubarak!